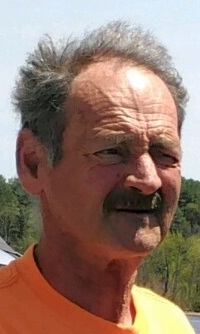 Anthony Edward Givens, 59, of Liberty Twp., passed away on Friday, January 25, 2019 at his residence. Anthony was born October 8, 1959, in Dayton, Ohio, the son of Edward L. and Wanda (McKey) Givens. Anthony had worked as a truck driver for several different companies. He was a "Jack of all trades" and could work on just about anything, including old cars, and woodworking. He enjoyed fishing and football, and was an avid Cowboys fan. Besides his mother, he leaves to cherish his memory, his wife, Paula (Woodsum) Givens, children; Chad (Loretta) Bartram, Tina (Mark) Perez and Edward Givens, brothers, Chris Givens and Gary Givens, and ten grandchildren. He is preceded in death by his father. Visitation will be held on Tuesday, from 4-7 PM at Blackstone Funeral Home. The family suggests any memorial contributions be made towards funeral expenses.